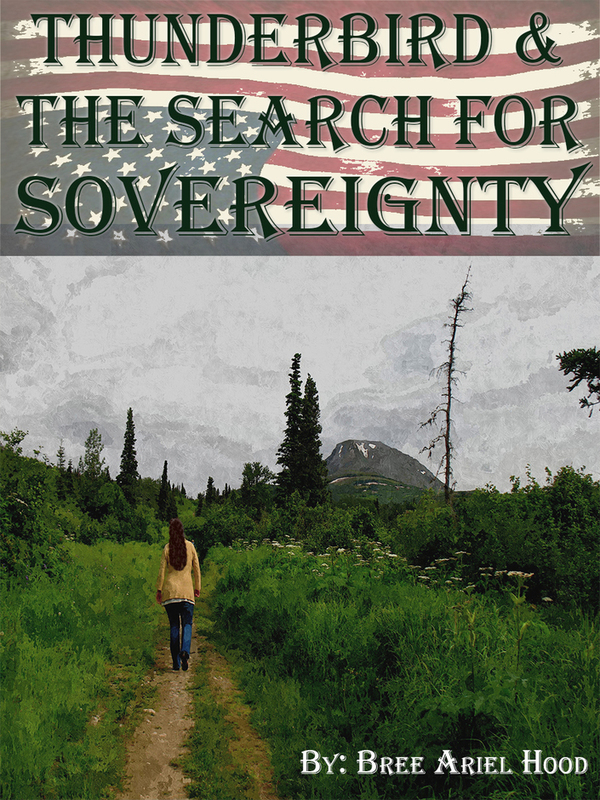 Available on Kindle & Smashwords! 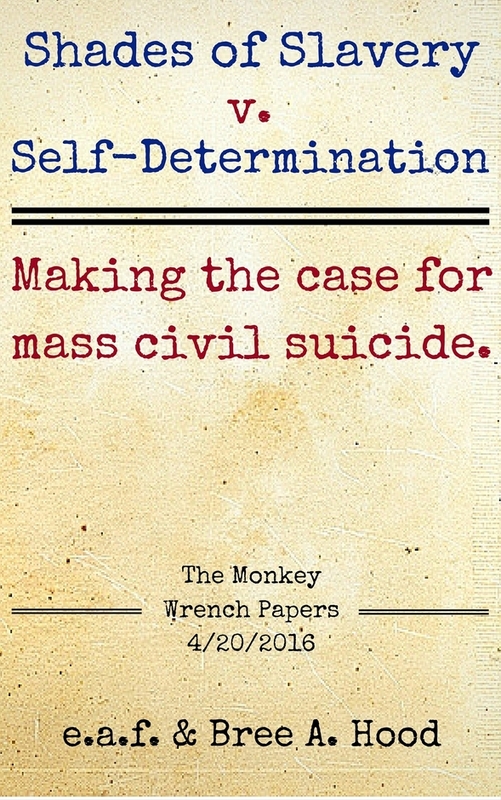 Making the Case for Mass Civil Suicide. I am an activist, I am an American, and I am a human being. All of these things have brought me to this street. On this day. With this sign full of defiant words. But what motivation lies, behind the dead and lifeless eyes, of the officers in blue that are stalking my every move? As they confront me in a line demanding that I leave, I advise them the law allows me to be on this public street. My words evoke their urge to fight, but I’m not surrendering my 1st amendment right- no matter how bad this is about to get. As they advance on me with violence in their movements, I wonder why men with power so often choose to abuse it. Protect and serve meant to be a promise, yet they have all chosen to compromise on it. Where have all our freedoms gone? And when did I cross your thin blue line into the realm of guilty until proven innocent, stop and frisk, and home invasion at owner risk? Though they are meant for my protection, they use their badges and guns like shields of impunity, when they come to take MY voice away. As they commit assault against me, in the first degree, with electric bolts of their superiority. They penetrate my skin with barbs, which will send violent currents of dominance throughout my body until I shudder and twitch in a pile at their feet. The involuntary movement of my muscles, will be in the category of “resisting arrest”, or so they will tell the judge when they are called to attest. But no beating on earth will make me confess, to something I didn't do, something I didn't say, or to breaking some law they say I should obey. But the beating has started now. As the tingling in my muscles begins to subside, from the electricity they used to subdue me with. I can feel every fist of furry, every judo chop of glee, and every steel toed karate kick, that they reign down on me. I curl into a tight little ball, but not to dodge a blow, to deafen the sound…of their Laughter. I don’t want to hear them one up each other, blow for blow. I don’t want to know I’m number 333 on officer Jones “take down list”. Since when did the breaking of a spirit, become just another notch in the bed post, that sits in the center of ever cop shop and court house in this country? But I am bleeding and broken now. They think my cries of pain, now turned in whimpers of resignation, are a sign that I am compliant. They appear to not understand…that a spirits freedom isn't reliant, on the body. My hands cuffed and bound, blood spilling on the ground. This is the death of our individual rights, this is freedom left to rot in a burial mound. I am your brother, I am your sister, I am your father and I am your mother. I am your coworker, I am your family member, I am your friend, and I am YOU. Its time to end the tyranny… Of those in blue. This poem is really awesome as I have never read such poem before which attracted me so much. Those poems which give us some inspiration like this http://www.analyzedu.com/writing-services-reviews/payforessay-net-review.html must be read by everyone. With the vising of this place that is full of with words about the different thoughts and topics of the world we are really enjoyed allot. As you share the new post on http://www.rushmypapers.me/ here with rebel thoughts it’s nice. This poem is really awesome as I have never read such poem before which attracted me so much. Water depth rolex replica measuring http://www.rolexreplicasstore.uk.com instrument, which is regarded as rolex replica watches the most innovative diving watch by the international media. TBTV Purchase my novel HERE!